Given the fact that the average lifetime for a car battery is 3 years and all of the batteries end up at a landfill at the end of their lifetime, how sustainable are electric cars in providing a cleaner environment in the future? Common sense says that they are a much cleaner alternative to the gas engine, but how much more? This is a really big question, and @EnergyNumbers' answer addresses some of it. I'll try to address some more. Your question is obviously referring to standard car batteries, which are used to power the car's starter motor. These are generally lead-acid batteries. A true Electric Vehicle (EV) may have a small battery just like this (e.g. to drive accesories), but this kind of battery is not what drives the car, and is not the big impact on the recycling/landfill issue. An EV's traction motor uses a Li-ion battery pack. It's very large, and very expensive. It also happens to be about 85% recyclable. My 2011 Nissan LEAF has a 24 KWh capacity Li-ion battery pack in it. At this point, it's hard to tell exactly what the longevity will be, because it's a new product. However, automakers do test these things before fielding new models (the results are obviously important when they decide what kind of warranties to offer). Nissan projects the life of this battery pack to be 10 years. What does that mean? By their definition, at the end of 10 years of life, it will have a useful capacity that's 70-80% of its original capacity, depending on how you use it. So, by no means is the battery dead. But, they're estimating what a user would be willing to tolerate in terms of driving range reduction. If your trips tend to be 20 miles or less, or you have recharge facilities at your typical destination (e.g. workplace charging), then you may continue to use your 10 year-old batteries. But, 10 years seems like a reasonable longevity estimate. Currently, the bigger a battery is (all else equal), the more likely you can recycle it, and even get paid to do so. As I said, a Li-ion battery is largely recyclable, and with 70-80% capacity, even still usable for non-automotive energy storage applications. It's very hard to believe that a battery pack that originally cost several thousand dollars, that still has 70% capacity, and is 85% recyclable, wouldn't fetch a significant trade-in value. This value will likely ensure that EV batteries are not simply thrown away. As EnergyNumbers said, the overall energy efficiency of an EV depends highly on where the electricity came from. However, whether it's more environmentally friendly than standard gas internal combustion engines (ICE) does not. Even if all the car's electricity comes from coal, which is our dirtiest source of electricity, an EV is about 25% more energy efficient than a gas ICE. From this Union of Concerned Scientists report, the average midsize gas ICE fuel economy is 26 mpg. Based largely on the (midsize) Nissan LEAF, the EV well-to-wheels equivalent energy economy is 30 mpgghg. So, that's already a 15% improvement for the 100% coal-powered EV. However, a gas ICE's fuel economy is not rated well-to-wheels. Like electricity, gas requires energy to make. Currently, gas and petro-diesel average an energy ratio of about 0.8 to 0.9, which means that to produce a gallon of gas, you have to spend about .1 to .2 gallons to make it. For Saudi oil, it takes relatively little energy to produce. However, as that runs out, and we continue to get more gas/diesel from deepwater rigs, and tar sands oil, gas and diesel will become even more costly (and environmentally damaging) to produce. So, when you perform well-to-wheels accounting, an EV starts at about 25% better than a gasoline ICE. Note: a well-publicized report has recently been released, that found Toyota Prius to be more GHG friendly than Nissan LEAF in most US states (accounting for where each state gets power from). However, it's important to note that the Prius has a lower drag coefficient than LEAF (0.25 vs 0.28), which will increase energy economy, but is unrelated to the cars' powertrains. I don't know how environmentally-friendly you think EVs are, but yes, they are more environmentally friendly than standard gas engine cars, in almost every way. EVs offer some definite advantages, and lots of advantages that depend on the specifics. short answer: yes, it's better than driving a fossil-fuel car. Long answer: it may seem to make less sense if you only consider a very small range of impacts, where all of the costs are visible, but only some of the benefits. Only when you zoom out to the long-term system level do you capture all of the benefits. And there are even better alternatives. 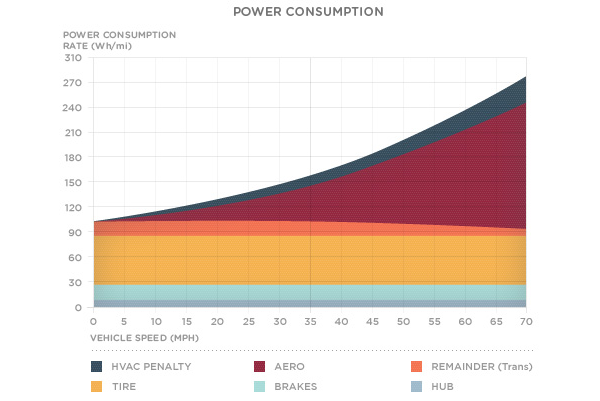 In terms of their quantified advantages over petrol (gasoline) & diesel, it will depend on just how your electricity is generated, and what the full lifecycle costs are of each vehicle. Even if the extra electricity is provided by coal, an electric vehicle is so much more efficient than a fossil car, that there will be carbon savings: electric cars are typically 80-90% efficient, compared to about 20% for a fossil car. So even with a coal plant at 33% efficiency, there's still a carbon saving from the electric. They definitely reduce local pollution - unlike fossil cars, they don't emit NOx, CO2, CO or particulates. And they are much easier to decarbonise than fossil cars - they just need renewable electricity to recharge. Electric cars are about 4× as efficient as fossil-fuelled combustion engines, tank-to-wheel: ICE engine efficiency is around 20%. Electric engines tend to be around 80-90%. For the whole-cycle energy-efficiency, then well-to-wheel would be the efficiency you were after, and then it would be very sensitive to how your electricity would be generated. Note that pretty much all electric cars benefit from regenerative braking, and very few fossil-cars do. For more information on "power-station to wheel" efficiencies of electric vehicles, see the US Gov Fuel Economy site. The chassis of an electric vehicle is usually lighter, too (except the Rolls Royce Electric Phantom), so there can be lower impact on materials for the chassis. The batteries are materials-intensive; they are currently so valuable that a lot of attention is paid to end-of-life reuse and recycling of the materials. Electric vehicles can help with the market penetration of exogenously-variable renewables such as wind and PV. They release some of the stranglehold that oil companies have on the economy and politics. They make for quieter streets, and quieter car journeys. They eliminate the local pollution from car exhausts (tail pipes). So in general, yes, electric cars are a significant improvement over their fossil-fuel guzzling competitors. I've seen no evidence that the batteries end up in landfill after just 3 years of life - that seems to be a bizarre and unsupported claim. Such a practice would not be remotely sustainable. I have seen evidence that some manufactures are seeking to recover the batteries: presently, at least here in the UK, a lot of electric-car suppliers are leasing, rather than selling, the batteries, which means that they'll go back to the manufacturer at the end of their life for complete recycling. After all, a dead battery contains all the ingredients needed to make a brand-new battery - the thing that needs doing, is reversing all the decay chemistry, which is just a question of energy inputs. Patterns both of car ownership and use have changed hugely in the last 4 decades. And the change in the 4 decades before that was huge too. 4 decades is enough for really big changes in transport patterns. For several reasons. It's 1.5-2 generations, giving plenty of time for cultural attitudes to shift. It's long enough for disruptive technological innovations to gain big market share. And it's long enough for a sufficient amount of land-use to be reshaped around new transport patterns. Current car ownership doesn't make a lot of sense, from lots of perspectives. Most cars spend almost all their time stationary. Quite a lot of dwellings have different cars for different purposes. Most cars are able to drive hundreds of miles on a single refuelling, but very rarely if ever do so. It's possible we will see completely different patterns of ownership in the future, with various different forms of shared ownership. It's also possible that the growing obesity epidemic in parts of the developed world, the internalising of negative externalities into energy prices, and a better public understanding of the prerequisites for and importance of a vibrant public realm, lead to a resurgence in walking and cycling, negating the need for a big proportion of current car ownership and use. The answer to this depends on your assumed alternative. Electric vehicles are better than some traditional gas-fueled cars, but hybrids can have an even larger footprint than efficient combustion engines. But, what if we broaden the possible alternatives? A car in a car-share is likely to be more eco-friendly than otherwise, no matter the fuel source. An electric vehicle is not more eco-friendly than public transportation, even fossil-fueled transit, assuming there are at least a few riders. Even carpooling in a combustion engine beats out electric vehicles. And it is rather obvious that walking, cycling, and other people-powered methods are superior to electric. Then there is the question of reducing distances or even trips. As more people work remotely, the fuel source of their car matters less. At this time, the choice of an electric vehicle is also about the politics of the future of cars. You may not be saving much in terms of emissions today by switching to battery-powered vehicle, especially if you live in an area largely powered by coal, such as much of the USA and China. But, you are helping to build political support for electric energy sources over fossil fuels which will aid in the future shift towards renewable sources of energy. So, there is a long-term question that is much harder to quantify. Not the answer you're looking for? Browse other questions tagged electricity transport cars fuel-efficiency electric-vehicles or ask your own question. Is an electric vehicle more sustainable just because it runs on batteries? What are the pros and cons of electric motors vs. internal combustion engines? I'm in England, and want to move to a time-of-use electricity tariff, how do I get an appropriate meter fitted? Why are electrical cars encouraged but is electrical heating discouraged?